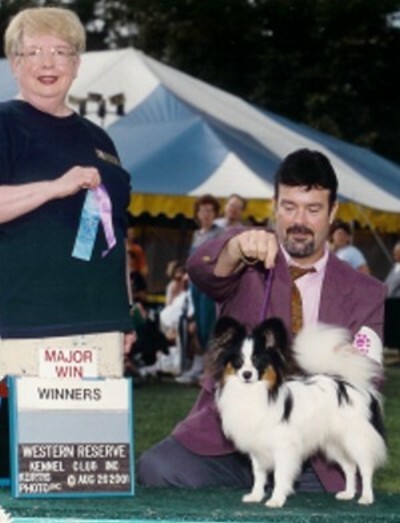 Sydney was acquired from Carolyn Mills of Ken Mar in Colorado. He is a wonderful example of the Papillon standard. Thank you Carolyn for letting us have him. He finished his championship at the age of one and now resides in Berlin Center with Dad Jeff and Mom Shawnee where he will be training for his obedience titles.